When I was still in school H&M was my go-to for knitwear. They did and still do the best sweaters, jumpers and cardigans in the €20-40 price category. The secret with H&M is to hit the shop early. 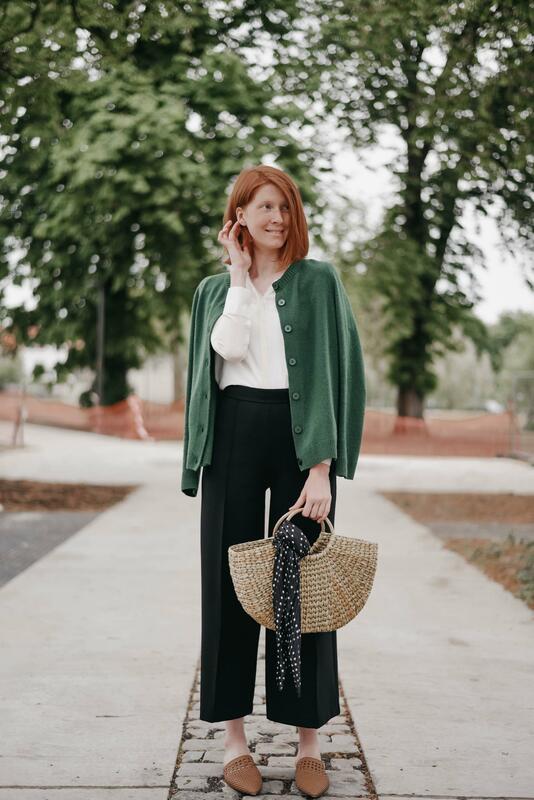 Their earliest fall pieces are their absolute best and by shopping my sweaters while it wasn’t exactly sweater weather just yet, I always managed to find the ones I wanted still available in my my size. Every summer I’d set aside some money so I’d be ready when they dropped their fall collection. And I was never disappointed. It’s been three years since I graduated from the school desks and as my adult life unfolded my style has evolved with me. 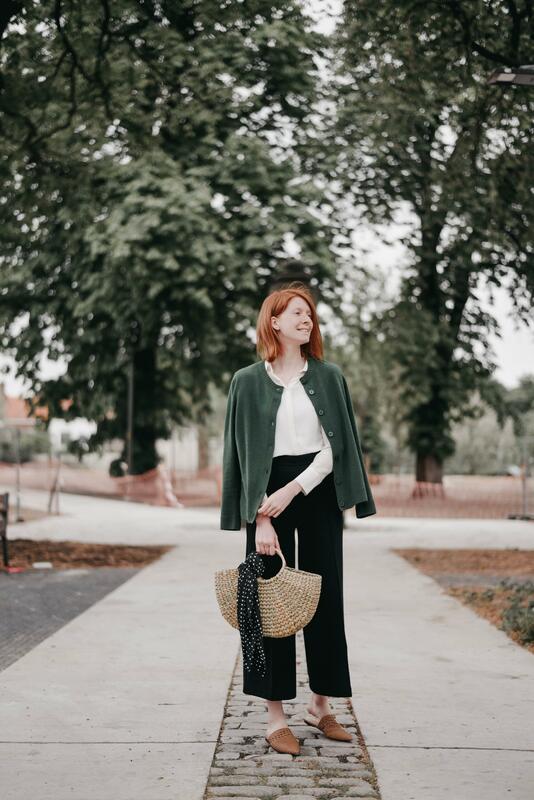 Although H&M has some pretty mean knitwear this year too, I have a new one-stop shop for all of mine: COS.
COS is the more mature sister of H&M (it’s part of the same retail company) and is mostly known for its minimalist designs. 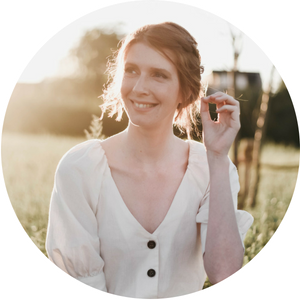 Their knitwear ticks all the boxes for me: qualitative wool blends, clean cuts, perfect fit and a really good price point. Nearly all of my current knitwear is from COS. The lush green cardigan I’m wearing in today’s outfit was a transitional piece I bought from COS late last winter. It is 100% wool and was about €70. 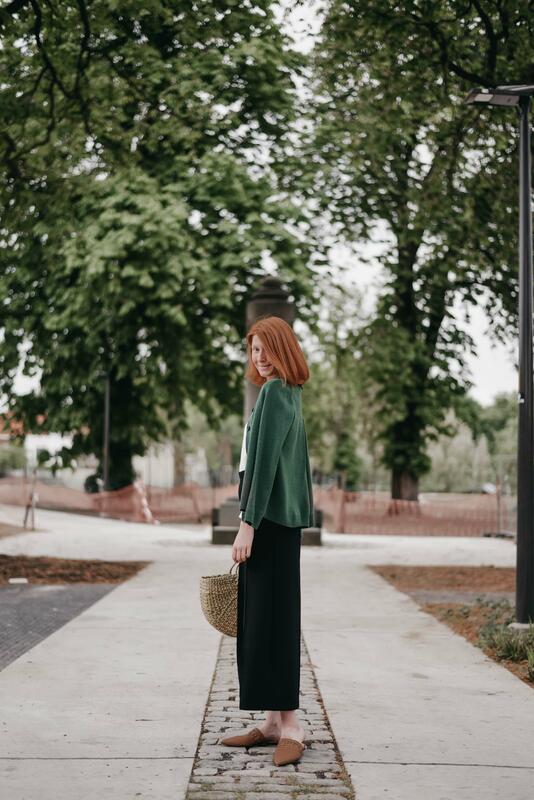 I loved styling it in the Spring with these culottes, but have also worn it over my little black dress and basic with blue jeans. 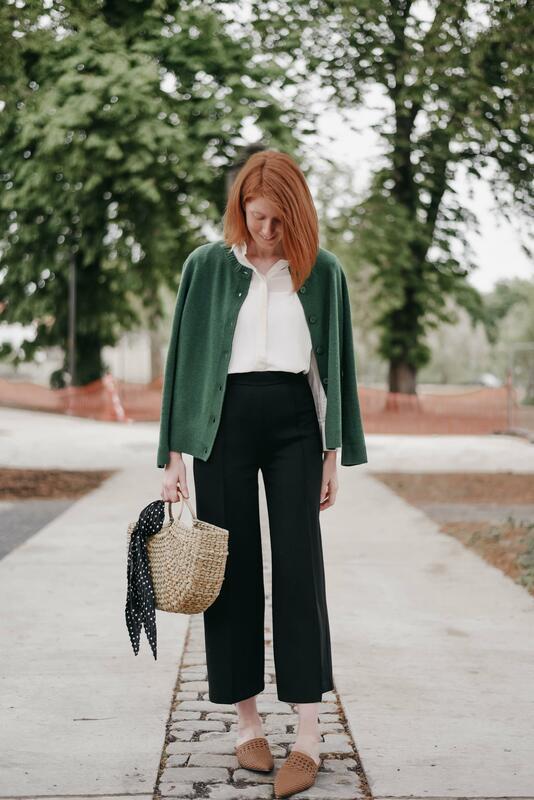 It’s basically your average cardigan, but with some lovely design details – where COS is famous for – such as the pleat on the back and the monochrome buttons.